Approximately in 1795, Blake created a series of monotypes. To this day, a dozen such engravings have reached, but researchers agree that there were initially more of them. Each sheet exists in a single copy. Plots of “Large color engravings” are very diverse and far from always explainable, although each of the works undoubtedly carries a certain hidden meaning. One of the most famous engravings of this series is the engraving “Newton” presented above. Blake quite often supplied his work with the accompanying text, but in this case he is absent. 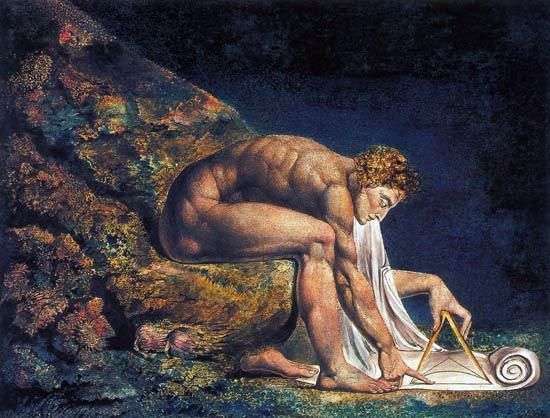 Description and meaning of the painting Newton by William Blake.